The Hulk, Iron Man I & II, Thor and Captain America: The First Avenger were all made to ready audiences for The Avengers Assemble, the culmination of Marvel’s superhero comic-books turned movies. But could throwing together a bunch of supernaturally-gifted souls work in practice? The Avengers Assemble demonstrates the folly of those who doubted the project. Nick Fury (Samuel L. Jackson) at SHIELD, puts the Avengers Initiative into motion to save (or avenge) the world from Loki. The film kicks off with Loki (Tom Hiddleston – Thor, Midnight In Paris, Black Wings Has My Angel) opening up a portal to Earth. After seizing control of the minds of Clint Barton/Hawkeye (Jeremy Renner – The Town, Mission Impossible IV, Mission: Impossible V) and the scientist Erik Selvig (Stellen Skarsgard – Angels & Demons, Thor, Romeo & Juliet), Loki steals the Tesseract, the translucent and supernaturally-powerful cube that belongs to King Odin of Asgard. 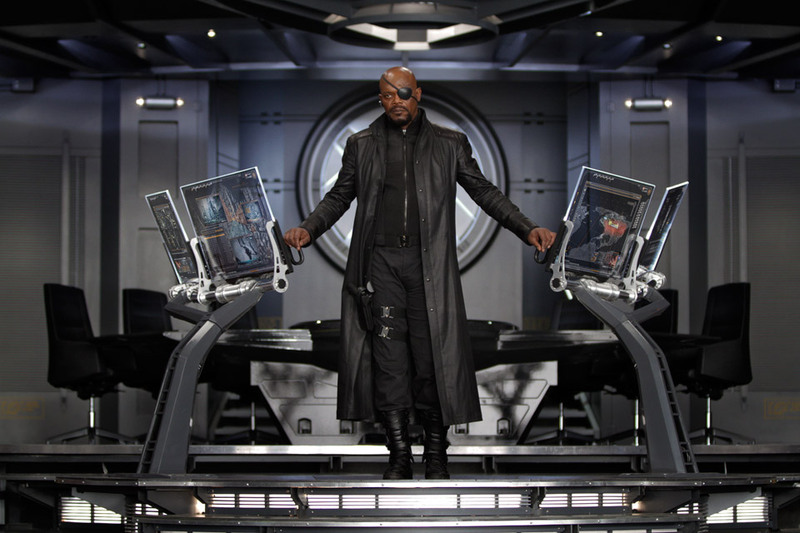 Fearing the worst for Earth, Nick Fury (Samuel L. Jackson – Star Wars I-III, Iron Man I-II, Captain America II), the director of SHIELD, reactivates the ‘Avengers Initiative’ to bring together a group supernaturally gifted individuals to save the world against foes beyond man’s conventional capacity. Natasha Romanov/Black Widow (Scarlett Johansson – The Prestige, Iron Man I-II, Her), Bruce Banner/the Hulk (Mark Ruffalo – Shutter Island, The Kids Are Alright, Thanks For Sharing), Tony Stark/Iron Man (Robert Downey Jr. – Iron Man I-III, Sherlock Holmes I-II, Due Date), Steve Rogers/Captain America (Chris Evans – Fantastic Four I-II, Captain America: The First Avenger, Captain America II) and Thor (Chris Hemsworth – Star Trek, Thor, Snow White and The Huntsman) all answer the call. Despite their differences, the group must co-operate in order to defeat the onslaught upon Earth that Loki shall unleash with the power of the Tesseract behind him. 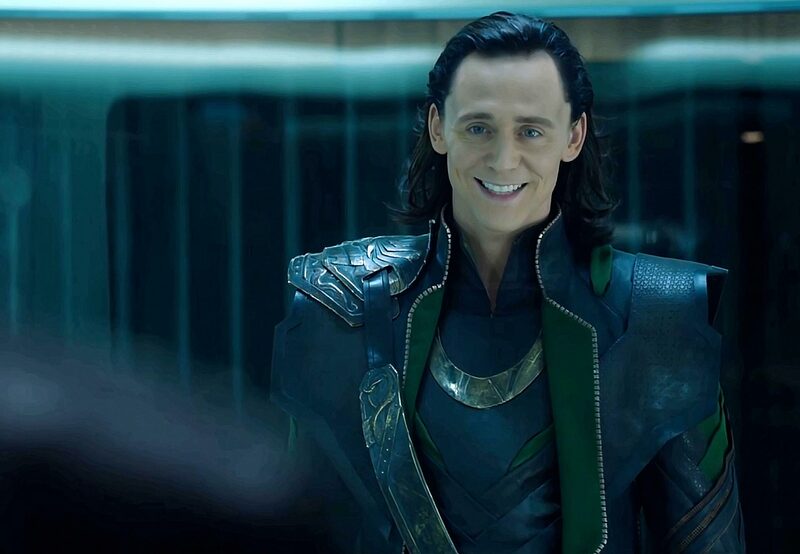 The villain, Loki (Tom Hiddleston), smirking as he tells Nick Fury that nothing can stop his plans from coming to fruition. There is nothing remotely complex, original or realistic about the storyline for The Avenger’s Assemble. Nevertheless, it is greatly entertaining. It has plenty of action scenes and an amusing clash of egos (of Godly proportion) between Thor and Iron Man. 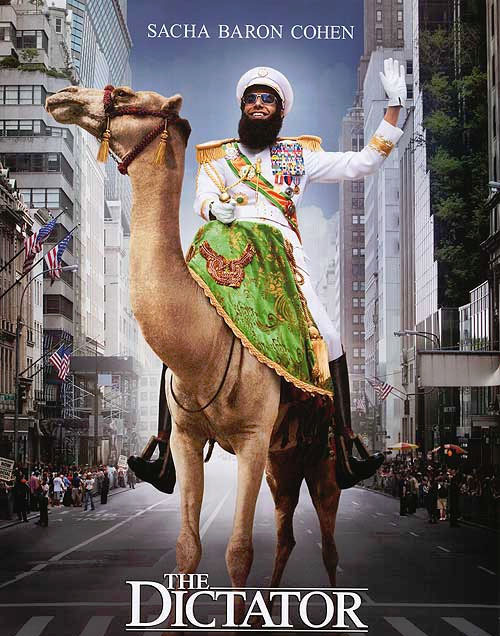 Without being a comedy, the film is littered with banter and jokes. This is because (thankfully), like in This Means War, none of the actors in The Avengers Assemble take their roles earnestly. Bruce Banner and Tony Stark would have looked utterly preposterous if they had tried to seriously discuss astrophysics before turning into a green beast or donning an iron costume. The Hulk and Iron Man might be the most dominant characters in the film, but director Joss Whedon gives each member of the cast a chance to shine. He gives them all a back story as well. This does not mean that the protagonists in The Avengers Assemble are any less divorced from the society that they have promised to defend; and nor does it mean that they have the depth of the Bruce Wayne of Christopher Nolan’s Batman trilogy or some of the mutants in X-Men: First Class, such as Charles Xavier, Erik Lehnsherr and Raven. Yet, it ensures that Whedon’s comic-book heroes are not mere kick-busters in ludicrous outfits either. The Avengers in action. Captain America, the all-American hero wearing the stars and stripes, leads the group as they attempt to defend the world from the metal monsters coming from outer-space. Irrespective, though, of whether the narcissistic Tony Stark has come to like his assistant, Pepper Potts (Gwyneth Paltrow – Iron Man I-III, Contagion, Thanks For Sharing), as much as he likes himself, or if Bruce Banner explains the injustices that have led to him turning into a green monster when he gets angry, the special effects are consistently brilliant throughout The Avengers Assemble. Again, there is little new to behold (the highly destructive flying caterpillars have become standard among alien invasion movies since last year’s Transformers III), but the effects assist the action scenes remarkably well. Even the 3D works a treat! 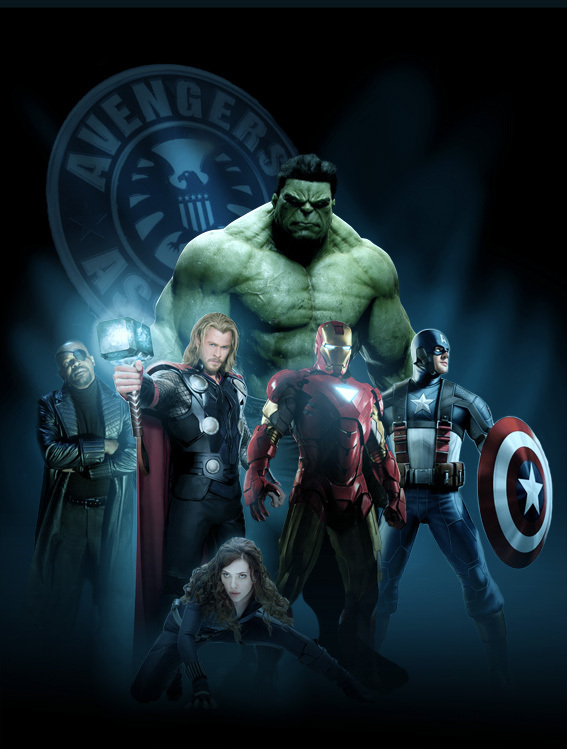 Over-all, The Avengers Assemble is a thoroughly entertaining and humorous movie. It has an affable group of protagonists, who all seem to have great chemistry on set, plus fantastic fighting scenes and superb special effects. 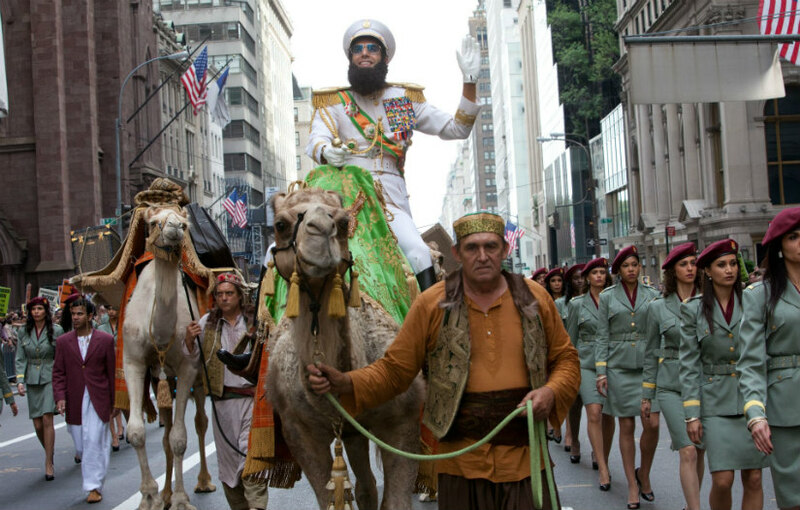 The film might not be original or complex, and it certainly has no deep moral message. 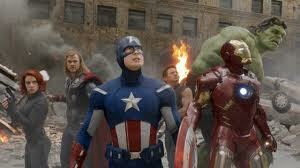 Yet, The Avengers Assemble is everything that a light-hearted, comic-book, superhero movie should be. Bring on the sequel! A century has passed since the White Star Line’s ‘unsinkable’ Titanic sank on her maiden voyage, taking down 1,503 souls with her to the watery abyss. It was a tragedy, but one that still fascinates people for so many reasons. The absorbing 1997 film, re-released in 3D for the centenary of the disaster, embodies why this is the case. 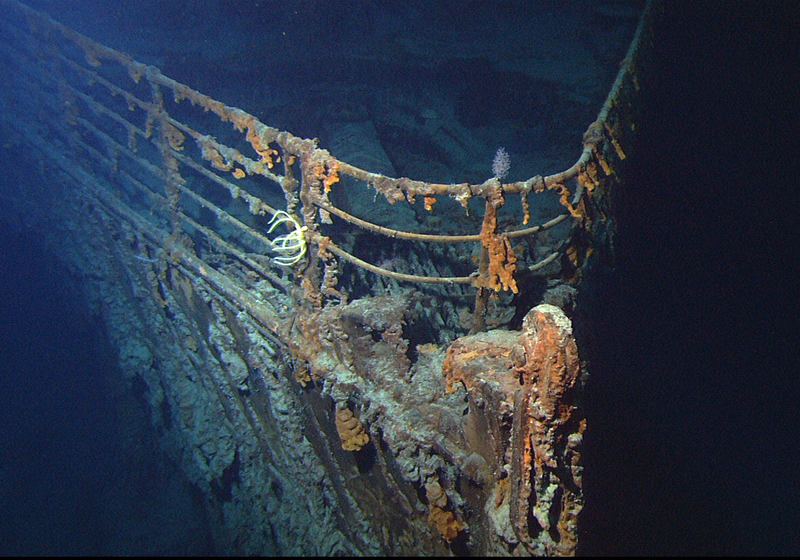 Titanic’s bow at the bottom of the Atlantic Ocean. Looks little more than a ghost ship now, with rusticles giving it an eerie feel. Titanic centres round two central characters who board the ship as it takes off from Southampton for New York in April 1912. Rose (when old, played by Gloria Stuart; when young, played by Kate Winslet – Revolutionary Road, Contagion, Steve Jobs) is the daughter of a bankrupt aristocrat and is travelling in the luxuries of first-class. Against Rose’s will, her mother, Ruth (Frances Fisher – The Roommate, The Lincoln Lawyer, The Silent Thief), has set her up to marry Caledon ‘Cal’ Hockley (Billy Zane – Back to the Future I-II, The Roommate, The Employer), a wealthy businessman, to relieve the family of their crippling debts. Jack (Leonardo DiCaprio – Revolutionary Road, Inception, The Wolf of Wall Street), on the other hand, is a dirt-poor artist journeying in third-class. After spending time in a variety of European cities, he is returning to America for a better life. Whilst on the decks, Jack spots Rose on the higher levels and is instantly taken by her beauty. 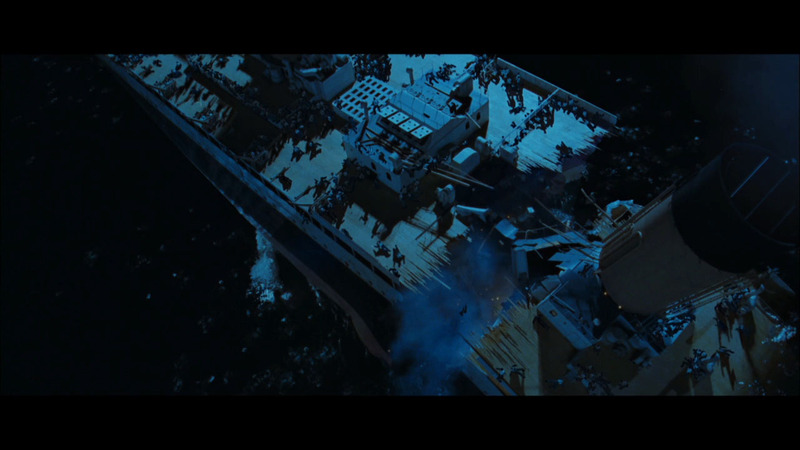 Yet, it is not until Rose is on the verge of jumping off the vessel’s stern that they meet. Jack urges her not to plunge to her death in the freezing waters and she follows his advice. Subsequently, much to the envy of Cal, love blossoms between Jack and Rose… Until a cold, cloudless night when Titanic, running at full steam, strikes an iceberg. For a film that is predominantly about a love story, Titanic is surprisingly gripping and abetted by a powerful music score, written by James Horner. Astonishingly, the film does not feel like it’s three hours and fifteen minutes long, since director/producer James Cameron (Alien, Avatar I-II, Sanctum) uses the time cleverly. 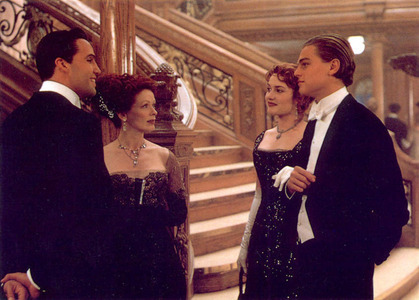 Cal (Billy Zane) and Ruth (Frances Fisher) reluctantly welcome Jack (Leonardo DiCaprio) to dinner in the glorious, first-class dining hall. Rose (Kate Winslet) accompanies him, drawing the ire of her fiancé and mother. 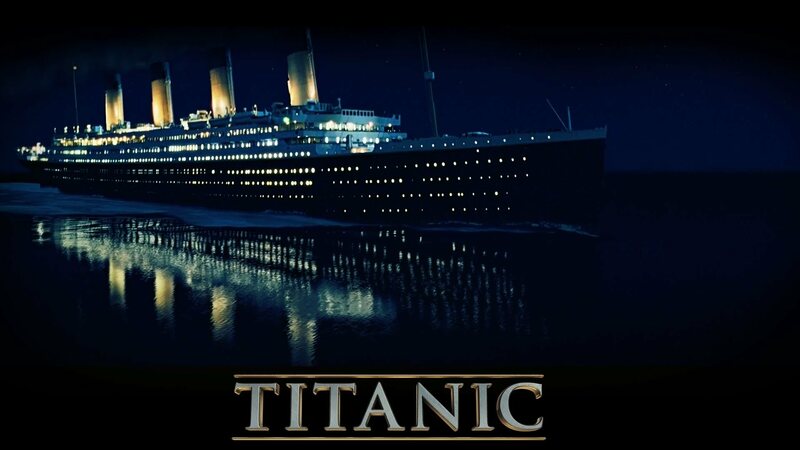 For the two hours or so before Titanic suffers its fatal wound, Cameron ensures viewers believe the false sense of security that passengers undoubtedly felt aboard the ‘unsinkable’ ship (even though audiences know the ship’s doomed fate), and gives the characters a (clichéd) 1912-societal role, depth and humour to maintain one’s interest. Moreover, Cameron makes the vessel hit the iceberg with (approximately) an hour and a half to go. With Thomas Andrews (Victor Garber – Legally Blonde, Milk, Argo) stating that Titanic has less than two hours afloat, it feels like one watches the ship keel in real time, instead of in a quick, artificial manner. This not only means viewers can realise the anarchy that gripped the ship as she went under; it enables one to appreciate the heroics of individuals on the night, such as the officers who sent out distress signals until Titanic’s power failed, and the life-boat stewards, like William Murdoch (who has been incorrectly portrayed as a murderer by Cameron) and Harold Lowe (Ioan Gruffudd – Fantastic I-II, Sanctum, Mariah Mundi and the Midas Box), who lowered as many boats and got as many people into them as possible, amidst the chaos. And because Cameron has so much time, he also properly shows us the cowardice of others, like Bruce Ismay (Jonathan Hyde – The Mummy, The Tailor of Panama, Spooks), who wanted headlines so badly he imperilled the ship he named (ironically immortalising Titanic), and Edward J. Smith (Bernard Hill – The Lord of the Rings II-III, Valkyrie, Paranorm), the reckless and dithering captain, who at least had the dignity to go down with the vessel. On the whole, the actors play their parts well, particularly Kate Winslet (even though she recently came out saying that her acting could have been better and she has a point), Frances Fisher, Gloria Stuart, Billy Zane and Kathy Bates (Misery, Midnight In Paris, Starbright), as the ‘unsinkable’ Molly Brown. However, the cast’s performances are often undermined by risible dialogue. The worst offender, by a distance, is Leonardo DiCaprio. (Not that Winslet does herself much credit by shrieking “Jack” frequently.) DiCaprio’s ability to spew out contrived lines in a desperate voice is almost an embarrassment to the victims of the disaster. Dialogue may not be one of Cameron’s specialities (Avatar illustrated that), but as a director he cannot be questioned. The impeccable way Titanic has been filmed and flows are testimony to this. That the movie’s set is huge and that one hardly notices the numerous special effects give clout to this (apart from a couple of poor CGI shots of the bow’s nose). After sounding like a wounded animal as water flooded the bow and lower levels, the weight of the ship’s stern finally takes its toll on the vessel, breaking it in two. Alas, the 3D does not effectively aid the film. It is not that effort hasn’t been put in. Rather, Titanic is not the type of film wherein the 3D can enhance scenes much, other than when people are falling from the stern as the giant propellers rise monstrously from the water. All-in-all, Titanic is an enchanting film that gives us a window into a by-gone era. The film brilliantly details many of the complexities of early-twentieth century society, with moving music and special effects that are as magnificent as the ship that left Southampton. But the movie also does the tragedy justice, pointing out the valour of some and the pusillanimity of others. This is why the fate of the ‘unsinkable’ ship will forever have the power to captivate.